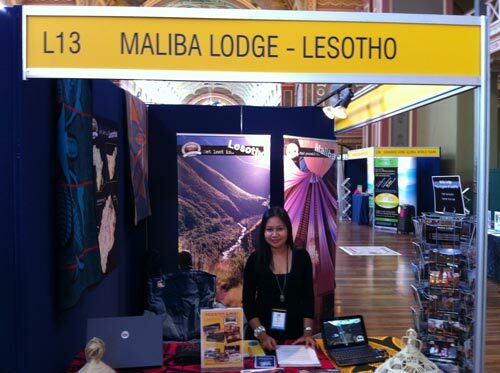 Maliba Mountain Lodge attended its very first Australian Holiday and Travel show, which is one of the biggest travel shows in Melbourne. 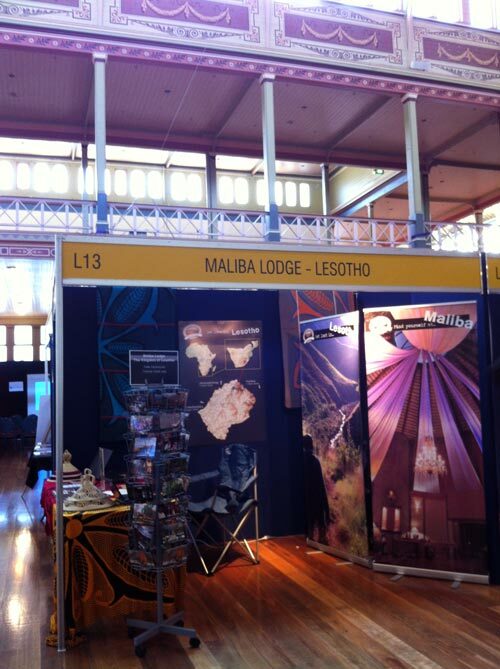 This travel show was hosted at the Royal Exhibition Building in Carlton Gardens and is one of the world’s oldest remaining exhibition Pavilions with a great Victorian interior. It was a successful two-day show with hundreds of exhibitors showcasing domestic and international destinations, travel products and services. Surprisingly we were joined by five other African exhibitors who are based in Australia; they are Traveljoy, Safaris into Africa, Encompass Africa, Swagman Tours, and The Africa Safari Co.
I’ve just recently moved to Melbourne after living in Africa for seven years, it gave me an idea how undiscovered Lesotho is, being one of Africa’s hidden gems. With the help of our interactive African map, I was able to show interested travellers where Maliba is located in the beautiful Ts’ehlanyane National Park in the majestic Maluti Mountains. The show visitors were amazed by the beauty of such a small country. I am very proud of the Maliba virtual tours that we’ve just launched on our website; which helped to show the true potential of Lesotho and what luxurious excellence Maliba has to offer. Even though I didn’t have the whole Maliba team with me at the show however I was joined by Maliba’s Directors Chris McEvoy, Nick King and by marketing guru Nick Waterman, which made it an exciting and memorable event. 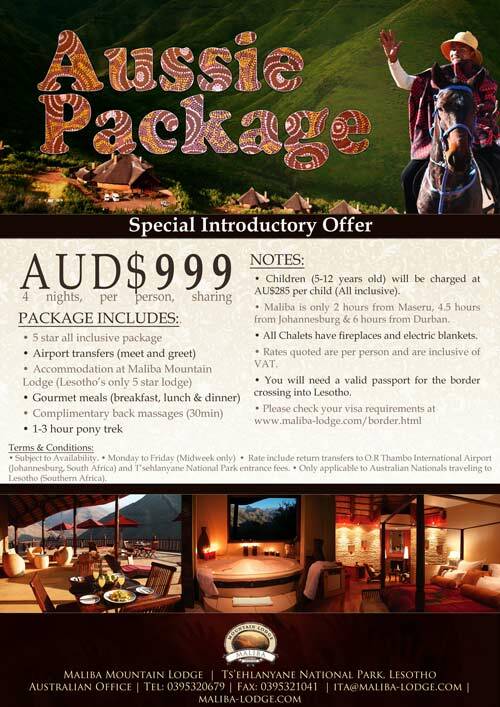 This Melbourne travel show has motivated us to launch a brand new Aussie Package at our 5 star Maliba Mountain Lodge exclusively for Australians which include a 4 night stay, all meals, return transfers to O.R. Tambo International Airport. Book your next trip to Lesotho with us and Get Lost in Lesotho & Find yourself at Maliba.